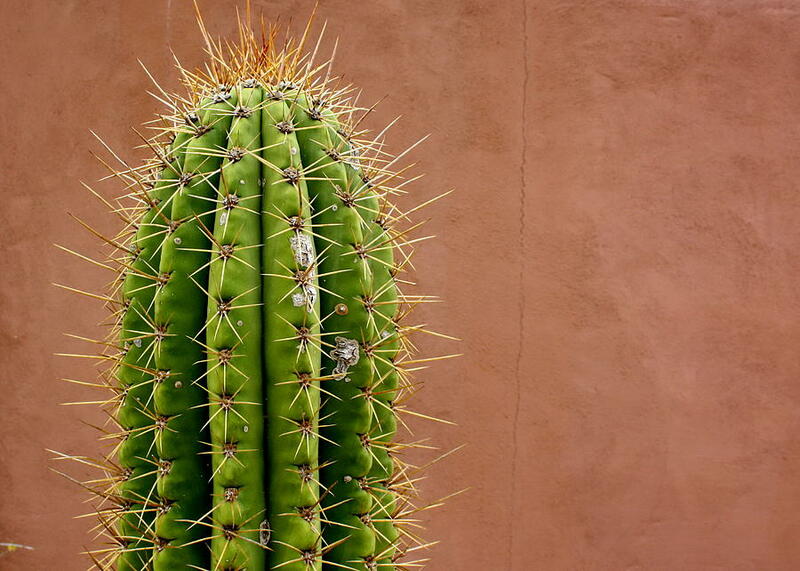 Revive Bath & Body: Feeling like a Cactus? Since August of 2012, I've been on the constant pursuit of what it means to live and look more like Jesus each day. Back in February, I drew this picture in my journal one night. Let me remind you of the fruits of the spirit. They are love, joy, peace, patience, kindness, goodness, faithfulness, gentleness, AND self-control (Galatians 5:22-23). You can see that on the tree trunk I wrote 'come and take the fruit you need because you are hungry.' Being the little confident and sassy person that I am, I thought to myself that there was no need for me to draw a self-control branch because I have that part under control. Since then, the Lord has been taking me on quite the journey through the fruits of the spirit and how to develop biblical fruits. Including self-control. Let's use the metaphor that each person is a tree. Each of these trees are planted in good soil, okay soil, or the really bad soil. Now literal trees cannot uproot themselves and replant themselves into better soil, but we can. We have the choice where to be rooted. The fruits we produce depend on what kind of soil we are planted in. It's not everyday you travel out to the desert land and see a huge field of oak trees now do ya? Nope, but you may see a cactus or two. Ahhhh the cactus. What a weird/interesting plant. Seriously, look at that thing. A cactus has these abnormally long prickles that are protecting the plant...protecting what's on the inside. It's a defense mechanism pretty much telling every animal in the desert that it better not try to eat it because it will poke you and won't let you into the good stuff, where the water is. When you take a look at a cactus and an oak tree and compare the two metaphorically to people, you can tell the difference between which plant was in the good soil and which one was in the bad soil. The oak tree is growing stronger and taller each day with the help of constant rainfall. The leaves are green and happy. A cactus lives in a dry land, where water is rarely present. The cactus defends itself with this monstrous prickles not to let anyone in and not let anything out. That's really ironic because here is a picture I drew a couple days later. Looks like I was being all cactus-y. Another thing about being a cactus is that cacti grow up in the desert, ALONE. We are not meant to be alone. Fruitful and happy oak trees don't grow up alone and in the desert. Nope. It just doesn't happen. Do you live out your life everyday with the passions and desires that the Lord has given you? Because I'm the first one to raise my hand and say no. Everyday I get caught up in the he said/she said of this world. Do you even know the passions and desires that the Lord has given you? And that's why I want to learn more about each of the fruits of the spirit, what they mean, and how to live them out daily. The first one being self-control. I hope you are ready to dig into each of the fruits with me. Thanks for sharing, Caitlin. I could be a cactus once a while without even realizing that, and it's not actually fun, eh.